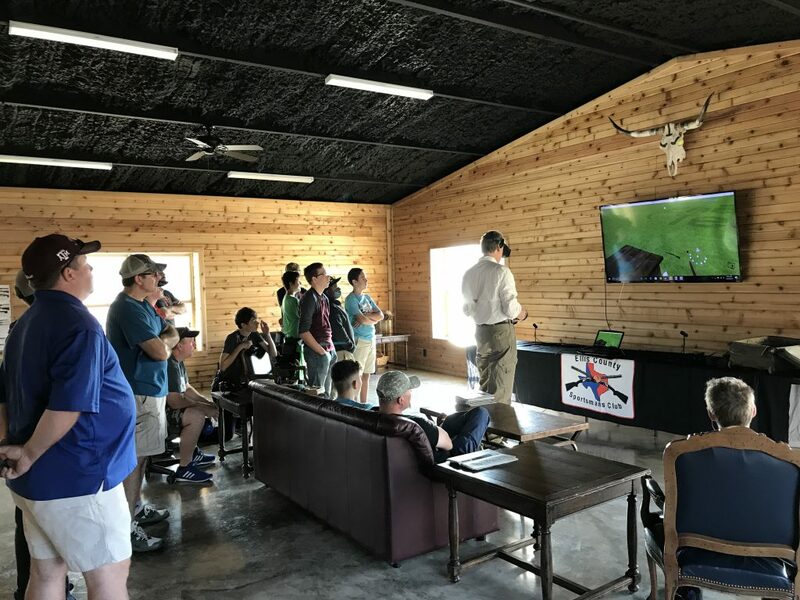 The National Champion Allen, Texas High School Sports Shooting Team demo’d CLAZER yesterday at the new DeSoto Gun Club. 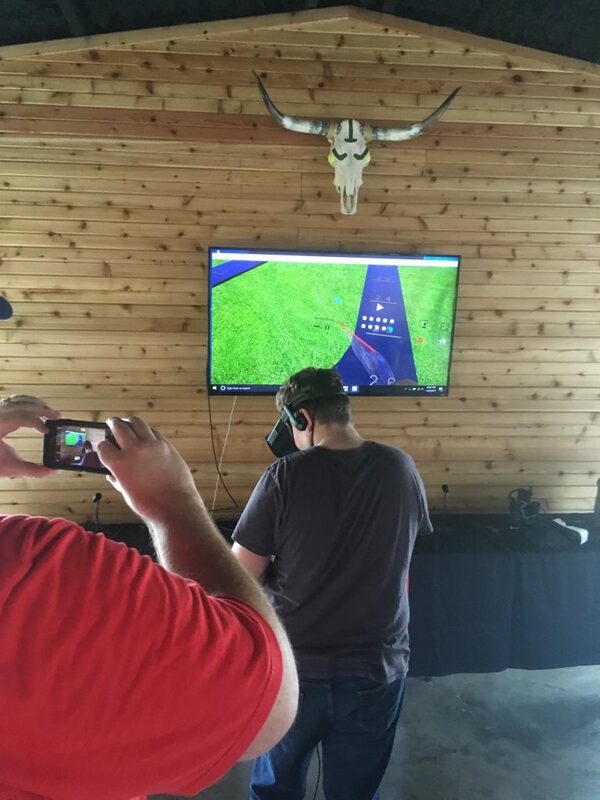 The future of shooting team player recruitment, training, coaching and indoor practice is going to be VR. The Allen team members demonstrated that yesterday. Go Eagles ! It is clear that CLAZER is an ideal way for a gamer to make the transition from FPS gaming to shooting competitively. Some of the experienced gamers that are making the transition to competitive shooting demonstrated that when they tried CLAZER. Not only are the scene and the ballistics correct, but the nuances of the game and reloading two shells at a time and shooting at a pattern board are faithfully reproduced in CLAZER. Looking on at looking into VR. This guy smoked them at the trap range. . .
4. How to promote VR to FPS gamers ? Use it as a recruiting tool by advertising that your team uses VR. Once the team/ competitors adopt VR, the gamers will see that’s how to learn. If you have a team, your experienced shooters should start practicing with CLAZER and you should use the game to show gamers the sport. You will be amazed at how quickly a top FPS gamer picks up on it. And they will be amazed how quickly they make the transition at the range.